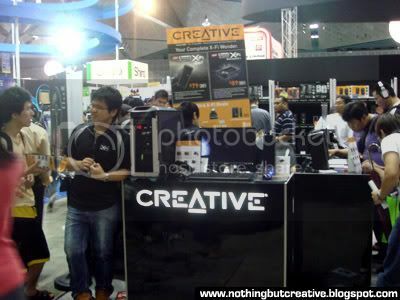 It seems that it's not just the players that are getting smaller at Creative, even their booth is getting smaller and smaller at each computer show(in Singapore at least). 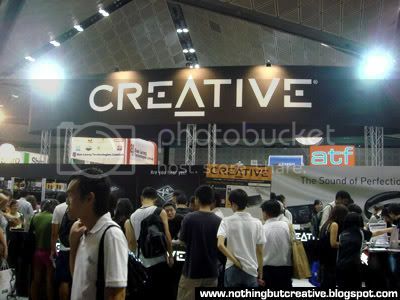 Creative used to occupy the prime floor (which is level 4 where most people are bound to visit and where major brands like Samsung, Canon, Nikon & Apple are) but this year it has been bumped up to level 6. 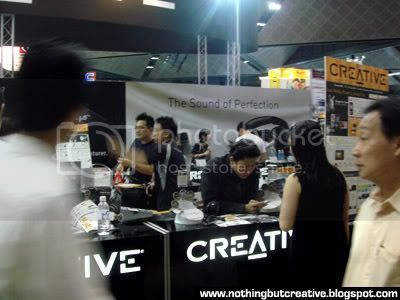 Although I miss the glory days of Creative having those big, colorful and attractive booth, I think business-wise it makes more sense as having large booth can be a very costly affair and the number of days it is being used might not justify that high cost. 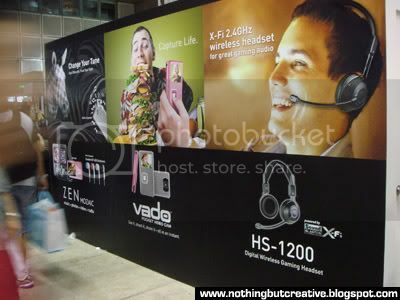 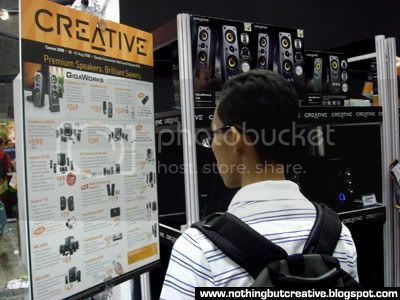 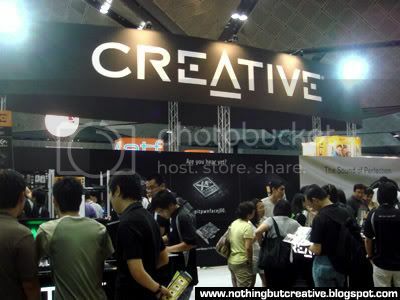 Visit Creative (Booth No.6121, Level 6, Hall 602) at the COMEX SHOW 2008! 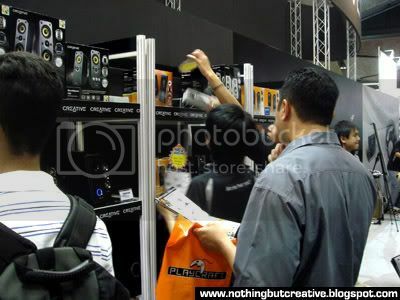 The COMEX SHOW 2008 will run from 28th(thurs) to the 31st(sun) August, 12PM till 9PM daily at the Suntec International Convention and Exhibition Centre.